← Three Cheers for Pride Parades! Last weekend, subway riders in New York might have noticed costumed nerds were flooding the city. International Cosplay Day took place in Central Park, Liberty City Anime Con at the New York Marriott Marquis, and, at the Sheraton Times Square, there was Flame Con. Billed as “The World’s Largest Queer Comic Con,” this was the event’s fourth year, and its third change of venue (previous installments took place in Brooklyn). 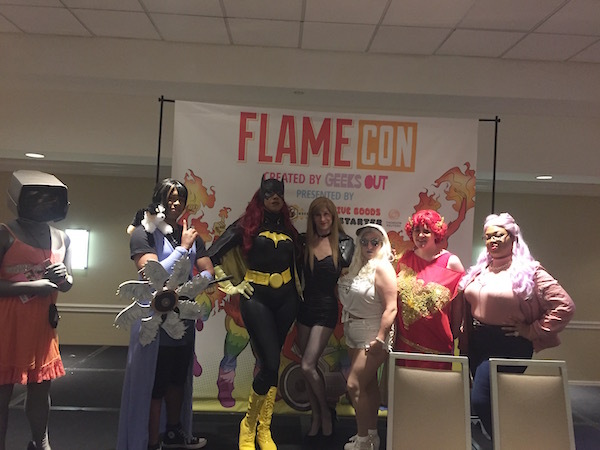 Flame Con continues to grow in attendance and scope. Continue reading at ChelseaNow.com.